Odds for Las Vegas & Offshore sportsbooks are originated by a group in Las Vegas called the LVSC (Las Vegas Sports Consultants). The LVSC is a group of "experts" who use their knowledge, experience, inside information and a host of other factors — mainly statistical — to determine the likely outcome of any particular sports contest. But the goal of oddsmaking for the casino oddsmakers is not to predict the outcome of a game, but rather to furnish the bettors with a betting line that will split the public in two halves. The purpose of the LVSC's is not necessarily to best handicap a matchup to provide even odds, but rather forecast a line that will yield a split in the betting action. With additional factors taken into account for handicapping towards public opinion, there is a small offset to the statistical line. This "offset gap" in the spreads is where sports investors can make a living. This principle information is at the foundation of Puss Williamson's sports handicapping success. With years of consulting experience in the 1970's and early 80's to many of the major Vegas casinos, Puss Williamson is privy to the information used by the LVSC in line setting. Puss knows one inherent truth to sports wagering and that is lines are set by humans, which leads room for error. Unlike casino style games, there is not a pre-determined statistical advantage for the house, but the odds are educated guesswork by people. The sports handicappers at BetSheet have been trained through years of experience to spot line errors. As quoted by Puss Williamson "Sports lines are generated by humans, and when humans are involved there will always be a margin of error". It's this margin of error that Puss exploits every week on a daily basis and consistently provides success to his sports investors. What seperates BetSheet from other sports investors? To make vital information stand out you must first adopt the right tools and mindset. BetSheet has embraced technology which increases our efficiency on many fronts. The modern day sports handicappers and investors all have access to the statistical data and trends but this doesn't give you an edge unless you understand the data you are digesting. 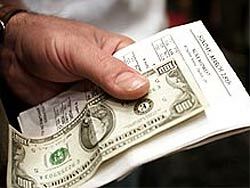 It can be the small details that most sports handicappers over look that provide the edge in our sports betting picks. A matchup is about the entire picture and not just a single trend. When you understand how odds are manufactured then you can understand how Las Vegas expects the public to react. Our ability to decipher the big picture is the value we provide to our members. You will find very few Las Vegas Sports Handicappers that have made a living working for the other side of the table and privileged to as much information setting the line as Puss Williamson and BetSheet.com.